The point of the field sobriety test is to test a person’s physical and mental impairment. This is known as a Divided Attention Test. Essentially, the test looks at whether one is mentally capable of following the directions that are given by the police officer and whether the individual is capable of physically carrying out those instructions. For example, if the officer instructs the motorist to take ten steps forward and then do a 180-degree turn to the right, the officer is not simply testing whether a person can walk and turn without tripping, but whether the person also has the presence of mind to walk exactly ten steps and turn to the right as they were told. A person who forgets the directions given by the officer may be considered mentally impaired by the officer on the basis that they can’t follow simple directions. The prosecution will try to make any failure to listen to directions or to carry out the directions without stumbling, tripping, or falling as signs that a person was under the influence. A skilled DUI defense attorney will be able to make sense of any failures and paint them as normal actions that have nothing to do with being intoxicated. Perhaps a person has poor hearing or inherently bad balance, which can account for any problems during a field sobriety test. Once again, in California there is the per se law that says that anyone with a blood alcohol content of .08 percent or greater is considered, by law, too drunk to drive. There is a second law which states that it is illegal to drive under the influence of alcohol. It is in this case that the prosecution will seek to use the field sobriety test as circumstantial evidence of a person’s intoxication. One should bear in mind that although police use the field sobriety tests to gather evidence against a motorist suspected of drunk driving, in California field sobriety tests are optional, even though most police officers won’t tell that to a suspect. While the field sobriety test is used to determine both the motorist’s physical and mental impairment, it’s important to keep in mind that experts on both sides of the law agree that mental impairment will always precede physical impairment. Physical impairments are not necessarily rooted in mental impairments. Fragile bones or an old soccer injury can cause just as much, if not more, physical impairment than alcohol. Other factors that may result in physical impairment can be drowsiness, nervousness, or perhaps the threat of going to jail for the night. It is the job of a qualified DUI defense lawyer to do a thorough investigation into clients’ histories to determine if any of the above factors may have been the cause of physical impairment instead of alcohol. Furthermore, a person with a high tolerance for alcohol, though they might be mentally impaired, may be able to disguise that impairment by carrying out the physical part of the field sobriety tests without any problems. Disguising mental symptoms of impairment is not as simple, or even possible. In performing field sobriety tests for DUI cases, the National Highway Traffic Safety Administration has “validated” three tests in particular. These tests are the Horizontal Gaze Nystagmus Test, the Walk-and-Turn Test, and the One-Leg-Stand Test. These tests have standard instructions for the motorist to follow, and they have standard scoring for the police officer to use in the evaluation of the motorist’s performance. There are other non-standardized tests that may also be used by the police. This includes the finger-to-nose test, reciting the alphabet, the finger tap test, the hand pat test, and the Rhomberg balance test among other things a police officer may use to determine a motorist’s impairment. At the end of the day, no matter how a driver being prosecuted for a DUI performed on a field sobriety test, a drunk-driving defense attorney with years of experience can use the results of the tests to demonstrate that any physical impairment came from sources other than alcohol. Drivers under investigation for DUI in California are typically given a field sobriety test before being arrested. These physical agility exercises, which are usually given next to a busy freeway or on the street, aren’t tests in the traditional sense because they’re designed to be failed. Their real purpose is to establish probable cause for a drunk driving arrest and to generate evidence for a court case. The skilled attorneys from The Kavinoky Law Firm can effectively challenge field sobriety tests and other evidence in a drunk driving case to create reasonable doubt of the driver’s guilt. These three tests have been recognized by the NHSTA, and therefore carry more weight in court than non-standardized tests. A skilled attorney can successfully challenge the results of standardized field sobriety tests in court. Field sobriety tests reputedly assess the mental and physical impairment caused by alcohol intoxication, but most of the so-called signs and symptoms of alcohol impairment can be traced to physical problems unrelated to alcohol use. Alcohol causes both mental and physical impairment, but mental impairment always takes place before physical impairment occurs. Physical impairment can be masked by individuals with a high tolerance for alcohol, but mental impairment cannot be disguised. Therefore, if a driver suffers from physical difficulties but not from mental impairment, then the physical problems were caused by a source other than alcohol. In order to return a DUI conviction, every juror must be convinced of the driver’s guilt beyond a reasonable doubt. A skilled attorney knows that the reliance of field sobriety tests on physical agility poses serious problems for prosecutors and creates reasonable doubt in the minds of jurors. There are many issues unrelated to alcohol use that can cause physical impairment, such as illness, injury, fatigue, or nervousness. An experienced DUI defense attorney from The Kavinoky Law Firm will look at a driver’s complete medical history to determine whether causes other than alcohol may have contributed to any impairment and use this information to challenge the results of a field sobriety test. Drivers under investigation for DUI typically take field sobriety tests before being arrested. Although many drivers hope they will avoid arrest by “passing” the tests, what they don’t know is that field sobriety tests exist only to justify an arrest and gather evidence for a court case. There are two kinds of field sobriety tests: Standardized and Non-standardized. The Horizontal Gaze Nystagmus test is one of three field sobriety tests standardized and recognized by the National Highway Traffic Safety Administration (NHTSA). A skilled DUI attorney from The Kavinoky Law Firm can successfully challenge the results of a Horizontal Gaze Nystagmus test or any other. The Horizontal Gaze Nystagmus is an involuntary jerking of the eyes as they move from side to side. This test is based on the theory that the greater the driver’s blood alcohol content (BAC), the sooner the eyes will begin jerking as they move from side to side. The officer instructs the driver to follow a small object, like the tip of a pen using only the eyes. Police watch for uneven eye movements or sustained jerking when the eye reaches the furthest point. The officer will take note if the eye begins jerking before it reaches a 45-degree angle. Each of these three occurrences counts as a “clue”. If the officer sees at least four of the six signs, he or she will conclude that there is a 77 percent chance that the driver’s BAC is greater than .10 percent. The individual will then be placed under arrest for drunk driving. Although it is standardized by the NHTSA, the Horizontal Gaze Nystagmus Test is far from foolproof. Nystagmus, or involuntary jerking of the eye occurs in every individual, regardless of whether he or she has been drinking. Alcohol and drugs may intensify the nystagmus effect, but so can many other factors, including injury or illness. When an individual drinks alcohol, mental impairment always occurs before physical impairment. Physical impairment can be masked by those with a high tolerance for alcohol, but mental impairment cannot be hidden. Therefore, the mere presence of physical impairment such as involuntary eye jerking doesn’t mean the driver was under the influence of alcohol. Some officers don’t administer the Horizontal Gaze Nystagmus Test properly, and therefore their conclusions may be inadmissible in court. For example, the driver’s head and body must be facing the object. If the officer conducted the test through the driver’s-side window, the results may be inadmissible because the driver’s head was turned at a 45-degree angle. Luckily for accused drunk drivers, field sobriety tests don’t always hold up in court. The officer’s conclusions can be successfully rebutted during cross-examination. An experienced California DUI attorney can effectively challenge the results of the Horizontal Gaze Nystagmus Test and create reasonable doubt concerning the driver’s guilt. Drivers suspected of DUI in California often must perform field sobriety tests before being arrested. However, no matter how well the driver does on the tests, a drunk driving arrest is practically inevitable. The test is used solely to establish probable cause and create evidence for a court case. 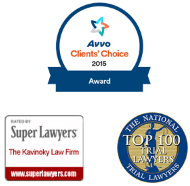 A skilled DUI lawyer from The Kavinoky Law Firm can successfully challenge field sobriety tests. The Walk-and-Turn Test is one of three field sobriety tests standardized by the National Highway Traffic Safety Administration (NHTSA). Like other field sobriety exercises, the Walk-and-Turn Test is a divided-attention test. It is designed to detect both mental and physical impairment by forcing the driver to focus on two tasks simultaneously. A prosecutor will use the test results as circumstantial evidence that the driver was impaired by alcohol or drugs. The Walk-and-Turn Test is administered in two parts. The driver must first stand heel-to-toe with his/her arms down while listening to the instructions. The officer tells the driver to take nine heel-to-toe steps along a real or imaginary line, turn, and return toward the officer in the same way. During the test, the officer will take note of any signs of impairment displayed by the driver. The signs of intoxication the officer looks for include an inability to maintain balance during the test instructions, starting the test too soon, pausing while walking, an inability to touch heel to toe, veering off of the line, using the arms to balance, losing balance during the turn, inability to turn correctly, and miscounting the number of steps. If the officer spots two or more of these signs, he or she will assume that the driver has a blood alcohol content (BAC) of .10 percent or greater, and an arrest for DUI will follow. However, many of the so-called signs of intoxication watched for in the Walk-and-Turn Test can be caused by physical conditions unrelated to alcohol, such as illness or injury. Alcohol consumption causes both mental and physical impairment, but mental impairment always occurs first. Physical impairment can be disguised by those with a high tolerance for alcohol, but mental impairment cannot be hidden. Therefore, if the driver shows only physical difficulties but no mental impairment, the field sobriety test results can be successfully challenged. This test is particularly challenging for drivers with back or leg injuries, individuals older than 65, overweight drivers, and people with inner-ear disorders. A driver who performs the test on uneven ground or is wearing high heels also isn’t likely to perform well. Oftentimes the officer doesn’t conduct the Walk-and-Turn Test properly, or correctly interpret the results. A California criminal defense attorney with a proven track record of winning driving under the influence cases can determine whether factors other than alcohol impairment hindered the driver’s test performance, and challenge the results. Drivers under investigation for DUI in California typically take a field sobriety test, such as the One-leg Stand Test during a traffic stop. The One-leg Stand Test is one of three field sobriety tests standardized by the National Highway Traffic Safety Administration (NHTSA). Unfortunately, police officers don’t use the One-leg Stand Test to determine whether a driver is impaired, but rather to justify an arrest and gather evidence for a court case. A knowledgeable DUI criminal defense attorney can effectively challenge the results of the One-leg Stand Test as part of an aggressive drunk driving defense. The One-leg Stand Test is a divided-attention test. It assesses mental and physical impairment from alcohol intoxication by requiring drivers to focus on two tasks at once. Police and prosecutors routinely ignore everything drivers do correctly and focus on insignificant errors as evidence of alcohol impairment. When administering the One-leg Stand Test, an officer directs the driver to stand with his/her arms down and feet together. The officer then instructs the driver to raise one leg six inches off the ground while keeping the foot parallel to the roadway. The driver is told to look at his/her foot while counting “one thousand one, one thousand two…” until told to stop. This typically lasts 30 seconds. Police watch for four signs of impairment: Swaying, using the arms to balance, hopping on one foot, and/or lowering the foot three or more times during the test. If the officer spots two or more of these signs, he or she will presume that the driver has a blood alcohol content (BAC) of .10 or greater, and the motorist will be arrested for DUI. Police and prosecutors regard field sobriety test results as solid evidence of intoxication, but the results of the One-leg Stand Test can be successfully challenged. To understand how this evidence can be challenged, it’s useful to know how alcohol affects the human body. When an individual drinks alcohol, mental impairment always occurs before physical impairment. Individuals with a high tolerance for alcohol can mask physical impairment, but mental impairment cannot be disguised. If no mental impairment can be proven, then any physical impairment must be attributed to factors other than alcohol. In order to convict a driver of DUI, the prosecutor must present evidence of both mental and physical impairment. The physical impairment displayed in the One-leg Stand Test can be attributed to sources other than alcohol, such as injury or illness. A skilled DUI attorney can prove that there are many reasons other than alcohol impairment why a driver might perform poorly on the One-leg Stand Test. Even people who haven’t had a single drink might have difficulty standing on one leg for 30-seconds. The One-leg Stand Test is especially difficult for drivers with back or leg injuries, individuals with inner-ear disorders or other balance problems, people over age 65, and individuals who are overweight. Drivers who perform the test on uneven ground or who are wearing shoes with heels higher than two inches also face challenges. Because field sobriety tests are extremely subjective, they can be effectively challenged in court. A California defense lawyer who focuses on drunk driving defense will show that the driver’s performance in the One-leg Stand Test and other field sobriety exercises can be attributed to many factors other than alcohol intoxication.